IP PBX is a modern and sophisticated telephone system which comes with a dozen of several features and allows the calls to be established over a network of IP data. The conversation is recorded and sent in the form of data packets over the available network. IP PBX system brings with itself numerous advanced features which are related to communication and is robust by nature. It also allows the company to keep the regular phone numbers. Let us have a more detailed about how IP PBX works and what are the benefits it comes with. How does the IP PBX System work? The IP PBX system has a simple yet very efficient method following which it performs. 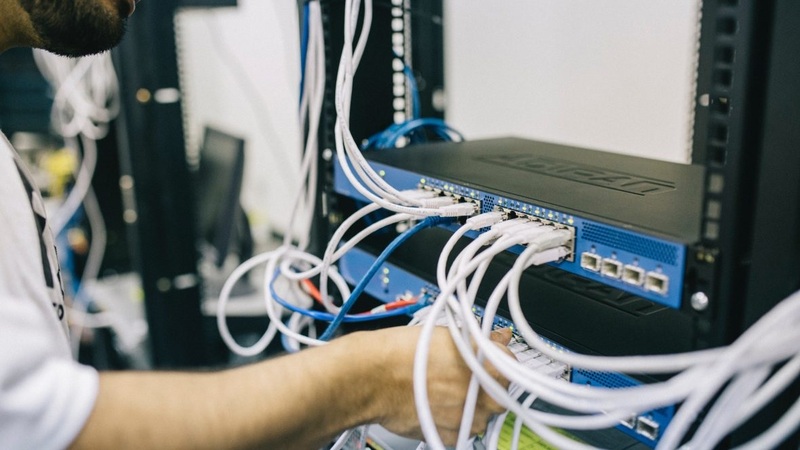 In the working cycle, there are actually more than one SIP phones, a single IP PBX server and lastly the optional VoIP Gateway so that the already existing lines are connected to the PSTN lines. The SIP clients, when they make a call from their softphones or the desk phones, get registered in the IP PBX network. This server now works quite similar to that of the proxy servers. The IP PBX system has a dictionary containing all the respective SIP address of the caller and thus, an internal call line is established with the help of VoIP gateway or a VoIP service provider. Now that you know how an IP PBX system works, let us read about the different benefits it has. Undoubtedly IP PBX systems come with several benefits and that is the reason why they are so much popular. Here are the top benefits which come with this system. IP PBX systems are much easier to use and control due to its friendly interface and powerful processing power. It is also easy to install this into the computer and any individual who has been familiar with using networking in a computer can do it at no time. Since the system has a Web/GUI based interface, the system allows to properly and correctly maintain your phone system. You can easily manage it on the go due to the GUI interface configuration. Using the IP PBX system can allow you to eliminate the need for wiring in your office for telephone lines. IP telephone system connects itself to various hardware IP phones directly through a computer port and software phones can be easily installed in your personal computer. With the help of the IP PBX systems, you can make significant savings off the VoIP users. You can easily make any calls to any part of the country or even to an international branch using the system. If there is your own office branch, then you can make phone calls without any cost. So here are the various details and information related to IP PBX systems. You now know how the system works and also about the different benefits it carries. Hence, you can understand how it can help your company in the long run.